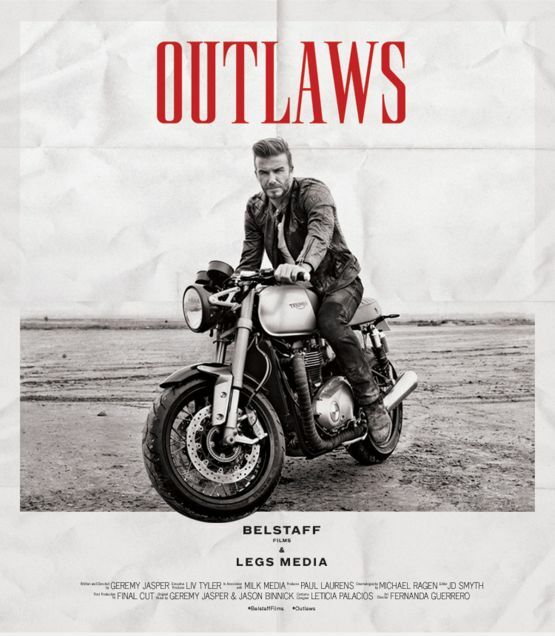 British football icon David Beckham has starred in a short film named Outlaws, produced by luxury apparel brand Belstaff. That is an exciting addition to Beckham’s glamour but what has caught our attention is the bike he is riding in the movie. Promotional images of the film show the football star in the saddle of what is expected to be a new Triumph Bonneville. Or a retro custom version of it to be precise. It can be seen that the Bonneville featured in the movie has a radiator that confirms a water-cooled engine and it is rumoured to be a new parallel-twin 1100cc motor. However, the Bonneville test mules spotted in the recent past have all had 865cc engines like the current air-cooled twins. It is expected that the bike will be the new range topper of Triumph’s retro segment and an answer to BMW’s R nine T. The new bike may be named as the Street Tracker or the Speed Twin and will be officially unveiled at the 2015 EICMA motorcycle show in November.